Please note, may take up to 36 hrs when placing your order. 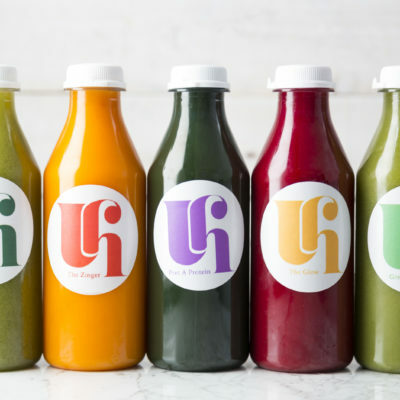 Urban Health is proud to have designed Ireland's first 3/5 Day Juice and Soup Cleanse program. We provide our treasured customers with “3 fresh Juices and 2 Soups per day” to ensure your body receives a full spectrum of fresh fruits, vegetables, super foods and antioxidants to keep you fully charged for the duration of your cleanse. Our fresh Soups and Juices are fully loaded with natural fat burning and immune boosting vitamins, minerals, super foods and spices such as onions, peppers, grapefruit, ginger, garlic, sweet potato, broccoli, turmeric, tomato and cumin. During the program you will receive a mixed selection of the below depending on whether your cleanse is for 3 or 5 days. All soups are 100% free from dairy, butter and gluten. No 1. Morning Glory: Cucumber, Kiwi, Spinach, Lime, Mint, Apple. No 2. The Zinger: Orange, Carrot, Grapefruit, Ginger, Lemon. No 3. Green Envy: Celery, Cucumber, Spinach, Lime, Avocado, Apple. No 4. Pret A Protein: Cucumber, Pineapple, Apple, Avocado, Spirulina. No 5. The Glow: Apple, Broccoli, Carrot, Beetroot & Avocado. 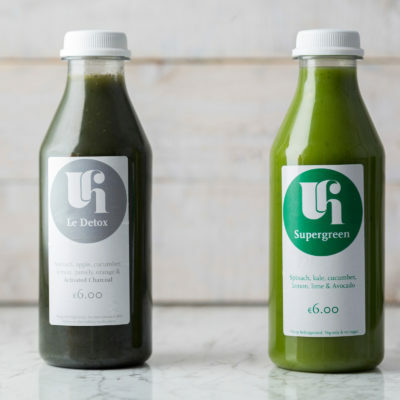 Deliveries mon-fri between 9am – 4pm only within a 5 mile radius of Ranelagh. 1.) Am I allowed to eat during the cleanse? Yes, of course, this is not a Fast. Keep in mind that everybody is different, so listen carefully to your body. If you are still hungry after the 2 Soups and 3 Juices juices are consumed, then it’s perfectly fine to have some baked fish, tuna, fruit, nuts after. Don’t starve yourself. You need to keep your energy up for your immune system and ideally to keep training. 2.) Whats other liquids am I allowed have? As much as possible. Coconut water, decaf herbal tea’s, Aloe Vera juice and ideally 2 litres of filtered water per day. 3.) What preparation should I do before and after the cleanse? This is area is really vital to ensure a smooth transition on your cleanse. Ideally no alcohol 7 days before you start, and no processed food 3 days before you start (or at all ideally). Keep your training routine up as much as possible, but again use your common sense and listen to your body and your energy levels. When you finish the cleanse, your stomach will have shrunk naturally, so try stay away from processed food, starchy carbs (bread, biscuits, chips) and try to consume soups, salads, bananas, eggs into your diet routine for the following 5-7 days. N.B. Please let us know the day/date that you would like to start when making your order in the notes section of the checkout page. All produce must be consumed within a 5 day period, for maximum nutritional benefits, as all ingredients are fresh, un-pasteurised and preservative free. Produce must be stored in a fridge at -5 degrees. If ordering the 5 Day Cleanse, please be advised that the cleanse will need to be delivered/collected in 2 installments, or you can freeze your final 2 days worth.